Choose from a selection of 43 holiday rentals in Hohentauern. Use the search form to the left to filter the results and pick your choice of self catering accommodation in Hohentauern. We have a good selection of holiday apartments in Hohentauern perfect for family, single, romantic and group holidays. You may prefer to take a look at our listed holiday villas in Hohentauern or holiday apartments in Hohentauern. Find your holiday homes by a specific type using the property type drop down in the filter. Filter the holiday homes in Hohentauern by a specific area using the area list above. This holiday resort built like a wooden cottage (in the year 2003) stands on a sunny slope at an altitude of 1,250 metres. The centre of Hohetauern is just 2 km from here. 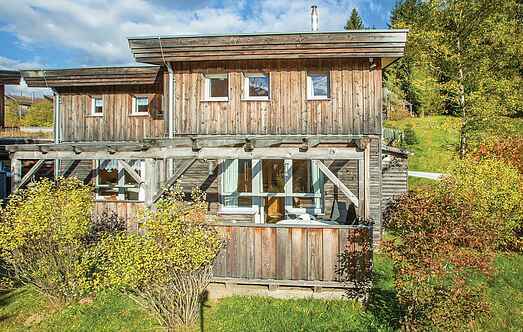 New, luxurious, detached chalet, next to the piste, with in-house sauna, at an altitude of 1275 m.
A new luxury chalet on the Hohentauern Mountain Pass. Very luxurious chalet with in-house wellness area, 200 m from the lift.